A Super Badger Two Band with a 24 mm knot and a loft of 50 mm. Handle height 52mm, diameter 39mm. This unusual material produces unpredictable patterns so each handle is truly unique, being hand shaped individually on a lathe. 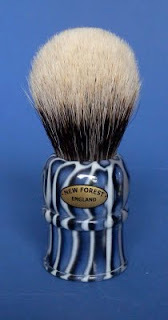 The dense knot and firm backbone is ideally suited to soaps and face lathering and produces great results with creams too. Price £40 including free worldwide shipping. 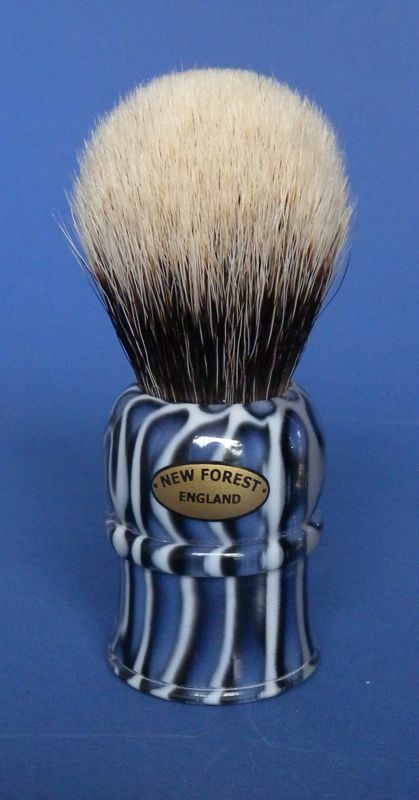 Payment by paypal to NFB@padh.co.uk quoting the brush reqired.